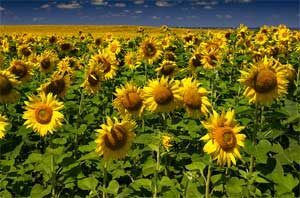 Probably the greatest contribution of Native American people to science before 1500 AD was the domestication of several plants, especially sunflowers in eastern North America. These plants were very useful to them. And now they are useful to the people of the whole world. Farmers had to work on this for many hundreds of years. They worked with the wild plants that grew near them. They encouraged those plants to evolve into forms that would be useful to people. So Native American science gave us sunflower oil, which is an important kind of cooking oil today. Native doctors could be men or women. They worked hard to develop medicines to take care of people who got sick. Different tribes used different plants, depending on their environment. For example, people chewed milkweed roots to cure lung diseases like bronchitis. Native American doctors made tea from boneset leaves to treat fevers and colds. They mixed pokeweed roots with fat to cure skin diseases. And they made a tea from pokeweed berries to treat arthritis and rheumatism. They used jewelweed to cure cases of poison ivy. Most of these medicines didn’t work, but neither did European, Asian, South American, or African medicines from the same time. Another North American invention was the snowshoe. Probably the earliest snowshoes were invented in Central Asia, about 3000 BC. Then people in North America learned about snowshoes through the Inuit in Alaska and Canada. But soon people were using snowshoes all over the snowy parts of North America. Each group developed their own different kinds of snowshoes. As you go further south, where the snow was warmer and wetter, people made their snowshoes longer and narrower. Cree snowshoes were nearly six feet long, almost like skis! 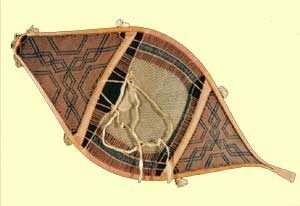 Iroquois snowshoes are narrower and shorter so that they could walk in forests where the trees were close together. Did Native Americans invent bows and arrows? Some people think that Native people in North America also invented the bow and arrow. While the bow and arrow were first invented in Asia in the Early Stone Age, long before people first came to North America, apparently the people who came to North America did not know how to use bows and arrows. 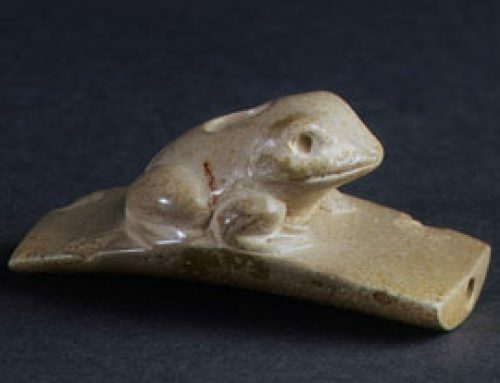 They may have invented the bow and arrow for themselves, independently, about 500 AD, but it’s also possible that they learned about bows and arrows from the Inuit to their north, who learned about bows and arrows from East Asian traders. Soon people were using bows and arrows all over North America, and they became very important for hunting and for war. Did you find out what you wanted to know about early Native American science? Let us know in the comments! Cite this page: Carr, K.E. Early Native American science and inventions – History of Science – North America. Quatr.us Study Guides, August 10, 2017. Web. April 21, 2019.